In the word’s of Game of Thrones, winter is coming! In fact, it’s already here in Australia so it’s the perfect time to plan a getaway to warmer places. The easy option is of course to jump on a plane and hit up Fiji or Thailand. But there’s so many options here in Australia which are well worth considering. 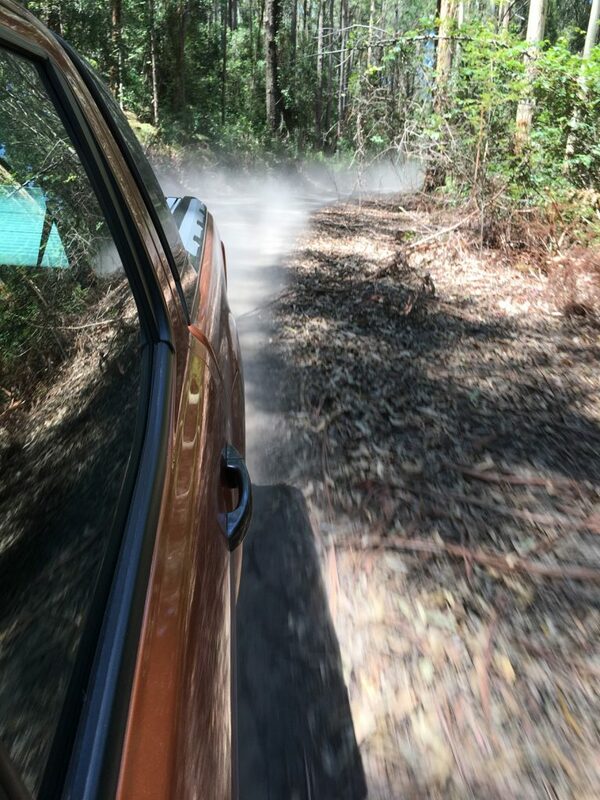 We love a road trip, so we thought we’d put together a few tips for a drive north from Sydney for any families who fancy getting out of the city. The panic that sets in before you leave on a road trip can leave you exhausted before you’ve even hit the freeway. It’s so easy to pack everything up bar your esky of food and drinks and just leave a gap for that in your car. Seriously, plan ahead, get your list of things to take written and tick them off one by one as you do it. Then when you get up in the morning, you do the final couple of things and hit the road with a smile on your face and without a sweat on your brow. It takes you about 3 days to unwind when you’re on holiday… do yourself a favour and start the process before you even leave. When I say leave early, I mean really early. If you live in Sydney you know how bad traffic can be. 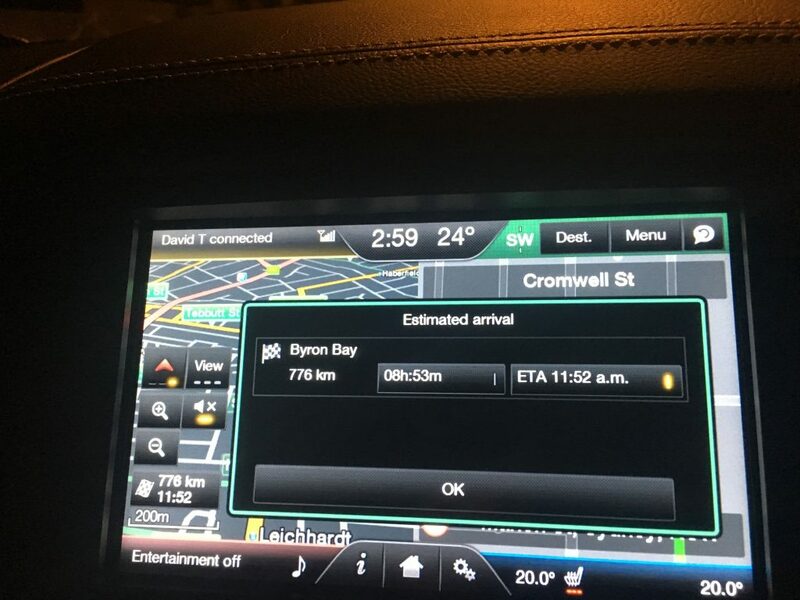 For our trip to Byron Bay, we hit the road just before 3am. This may sound brutal, but it actually worked really well. We had the car seat set to the recline position for our little man, a blanket over the window so it was nice and dark for him, and one to put over his legs to stay warm. 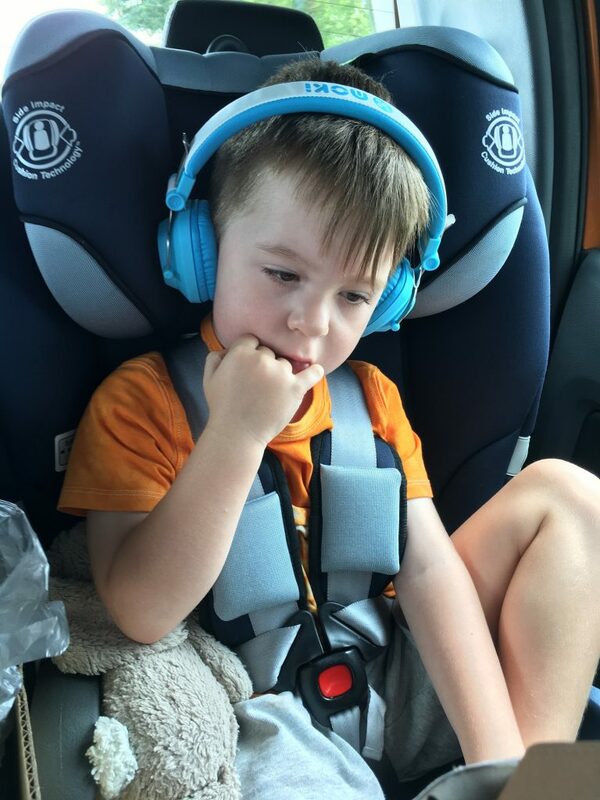 He was fast asleep for the first 4 hours of the drive… result! My wife did the same and then we switched over with her taking driving duties for a few hours whilst I had a sleep. The end result of this, was arriving at Byron Bay at midday, and being on the beach by 1pm! On the beach in winter? Yes we were! You can never have too many ideas for them. Movies, music and audio books are great. Play some car games with them too. If you need any suggestions for this, try our top five car games which you can find here. Another good idea is pack up a couple of treats, wrapped up like gifts, every four hours you can give them a new toy. You don’t need to spend much, but the kids will LOVE it! Also think of food and drinks, tasty little snacks, sandwiches, a flask of tea for the adults. You can never have too much and anything that is leftover you can eat when you get to your holiday destination. Also, if you are passing any landmarks or things that might entertain the kids for a few moments, get out of the car and see them. 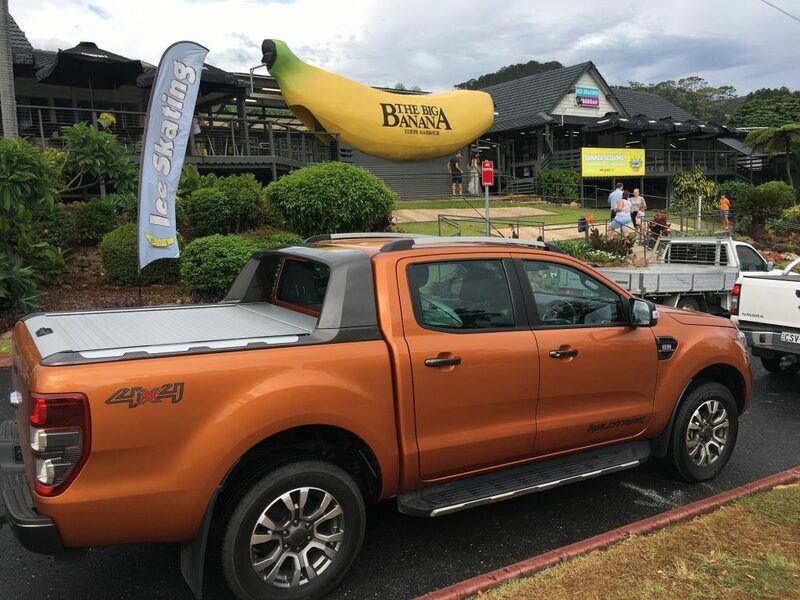 We had a toilet stop at the Big Banana in Coffs Harbour. We had a quick look around, stretched our legs and were back on the road a few minutes later, but it certainly kept our little man happy. IS YOUR CAR THE RIGHT ONE? Winter can throw up some strange weather. Road trips are also taxing on your car. It can be worthwhile hiring a different car to your normal family vehicle for extra space, a comfier drive and a spot of holiday luxury. 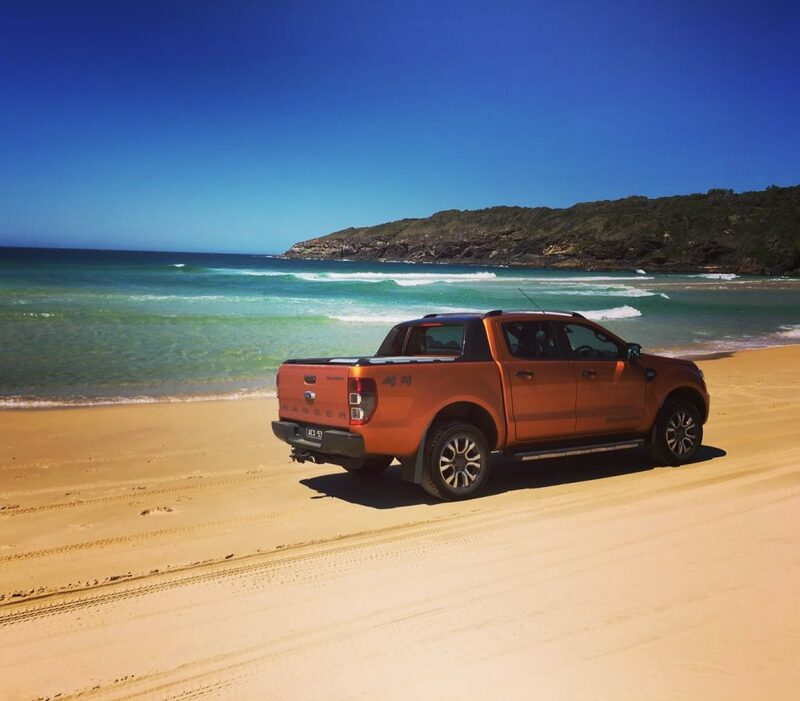 We used a Ford Ranger for our trip to Byron Bay, and let me tell you, it was a fantastic choice. The back tray was packed full of everything a family could need for a week away. It was also really easy to pack and access anything we needed. We were hit by some pretty heavy rain on the journey, and everything arrived bone dry. In terms of comfort, the Ranger is such a good family car. Plenty of space in both the front and the back seats, heated seats, amazing entertainment console and navigation systems, and the added benefit of being a bloody tough vehicle. With so much time on the freeway, you really felt safe even when surrounded by those big trucks that charge up and down the country. When it came to being away, we had so much more freedom. We took unsealed roads and discovered amazing things, like NSW’s tallest tree down a long dirt track! We also drove on the beach, and didn’t that make for some incredible photos of the Ranger. Finally, being diesel, the economy was incredible… not one stop for fuel all the way to Byron, and a few days before we needed to go to a fuel station after we got there! It sounds silly, but you can so often go on holiday and regret not doing some things. DON’T LET THAT HAPPEN! Do the things you want to do… that might be hiring a tinnie and taking the family on a waterway, or it might be deciding to all have a nap each afternoon. Do what you want to do. This is your time to relax and have fun with your family, so make sure you do exactly that. 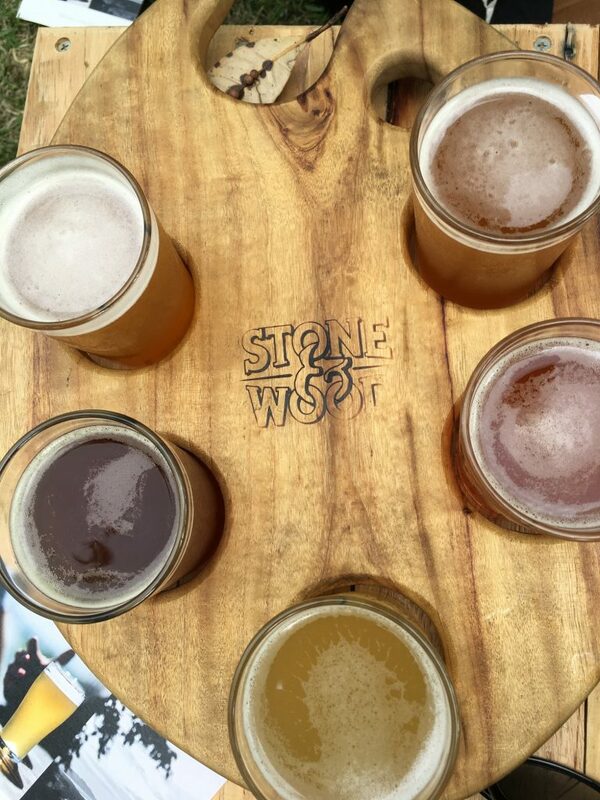 If you’re at Byron Bay, that could be a visit to the amazing Stone & Wood brewery and tasting room. 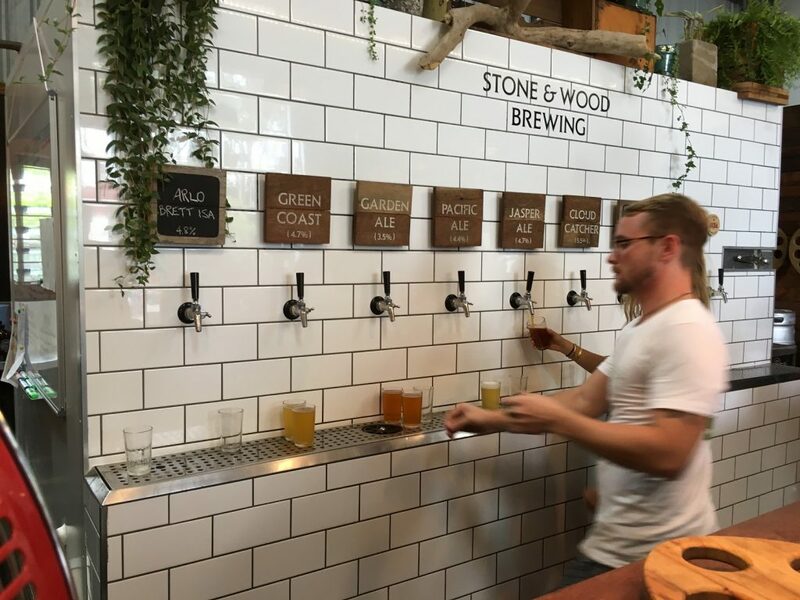 Delicious beers in a great location and you can get a tasting paddle for just a few dollars so you can sample a few different beers.